New to the forum, and new to my recently acquired Meade DS-125AT, which from what I understand was the Brookstone model of the Altazimuth Maksutov-Cassegrain Telescopes. What is the consensus on this scope? anyone own one/have advice for a noob like me? The scope was purchased as a gift for my grandfather 6 or 7 years ago, it sat in their home and has collected dust ever since, until I decided to rescue it and point it upwards once again. The scope has a few issues with it. the L-bracked arm is pulling away from the gearbox causing the whole scope to tilt a few degrees, puled it apart and tightened everything back up, still tilting, I figure its just from sitting on the tripod for years. Two of the viewfinder screws have been snapped off, no idea how or why that happened, but it doesn't seem to hinder the operation of the scope (I was able to aligned both the 25mm viewfinder and main scope. How do I go about attaching my Canon 5DMkII body to this essentially giant lens? can someone point me towards an adapter? My main confusion is eyepieces. Where do I begin? What brand/size/style? I believe this scope accepts .965 and from what I hear thats not the industry standard. Most amateur scopes support 1.25 barrels yes? 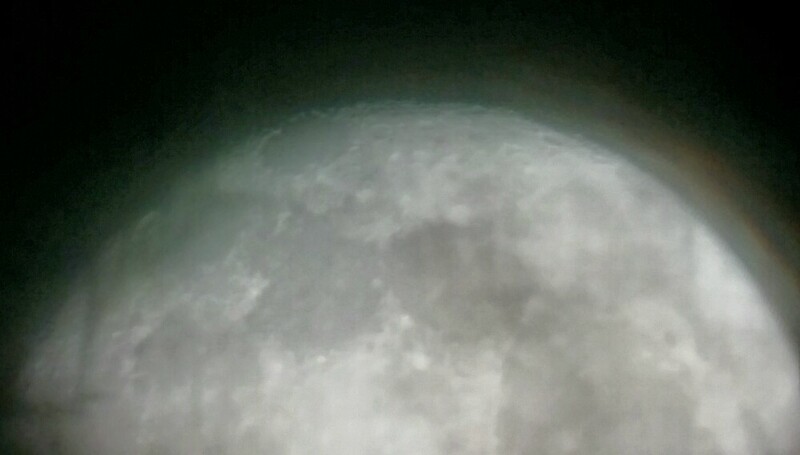 If I were to do shots of say, the moon, what eyepiece would I use? and i'm assuming if I invest in high quality eyepieces, I can take these to say a better scope in the future? Sorry for my noob questions, figure I would go to the forums and ask experienced stargazers. I am not sure about the mount, but the optical tube should be good. If you could post some pictures of the scope, it would help determine what can be done with it. There are a number of versions of the AutoStar Mount around. The two newer versions are good to work with. Previous to that....well....there really aren't any old ones left to scavenge parts from as far as I know. Posting pictures will help me determine what can be done. As far as eyepieces go and astrophotography, you will have to get away from 0.965 eyepieces if possible. If your scope uses the smaller ones, you will need a different adaptor to use the 1.25 inch. Is this a DSX-125AT? I have a DSX-90. This is the ETX-90 telescope on a DS-2000 mount. The performance is nearly identical to the ETX, which is adequate for visual, but only basic imaging. The telescope should use standard 1.25" eyepieces and you might look at vendors like Orion or Astronomics for a basic set of economical eyepieces like Plossls. You can download a manual from Meade's web site. Also, Mike Weasner's Mighty ETX site is a fantastic archive of information on the ETX and DSX telescopes. I keep forgetting about Mike Weasner's Mighty ETX site. It is truly a wealth of information. Yes, it is a DSX-125AT, I missed the "X" in my initial post. Just ordered a .965 barlow lens (just to have) and a T-adapter for my Canon 5DmkII. Still researching camera adapters for this particular scope. Anyone have any ideas? I'm working on creating a .965 to 1.25" adapter CAD model that I can print on my 3D printer. I've printed out a few test models and so far they are looking great, just waiting on a 1.25 eyepiece to be delivered so I can test it out and put my stamp of approval on it. Thanks for your replys. 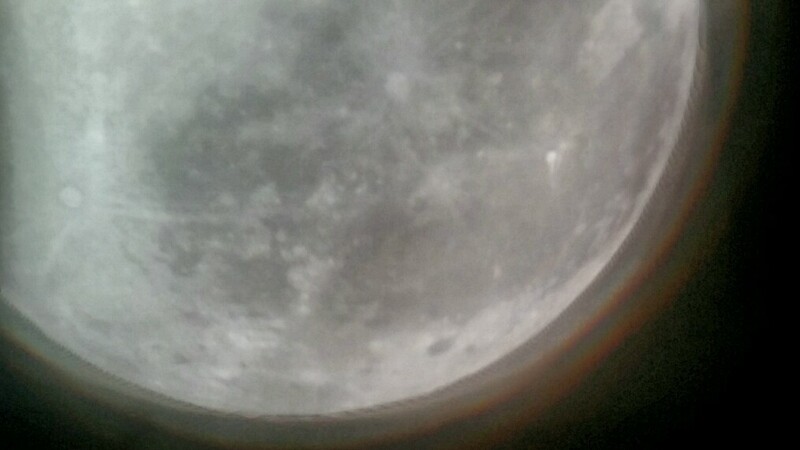 I'm happy to say I took my first Astrophoto the other night (with my cell phone) but still not a bad first effort.